Jail officials in Rawalpindi said Mr Lakhvi was released on Friday morning. India’s Home Minister Rajnath Singh has called the release “unfortunate and disappointing”, Indian media reports say. Mr Lakhvi had been granted bail in December, but was kept in detention under public order legislation. That detention was declared void by the High Court, which ordered his release. Mr Lakhvi still faces trial – along with six other suspects – over the attacks, which left 166 people dead and damaged peace efforts between the two countries. 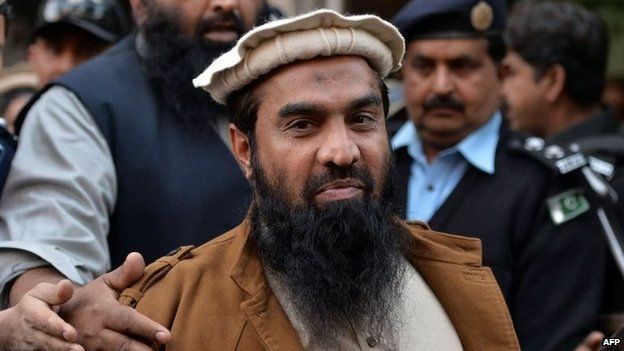 Zakiur Rahman Lakhvi’s trial in the Mumbai attacks case still continues, but his release on bail suggests the legal evidence presented in court by prosecutors may not be enough for a conviction. This contrasts with six years ago, when the interior minister at the time, Rehman Malik, provided graphic details of how a part of the Mumbai attacks conspiracy was hatched in Pakistan. Indian officials have since said that they also handed evidence against Mr Lakhvi and his comrades to Pakistani prosecutors. Mother’s Tears of Joy: Kidnapped Nigerian Baby Found In South Africa.